Slash your way to victory when Samurai Shodown touches down on PlayStation 4 and Xbox One this June. 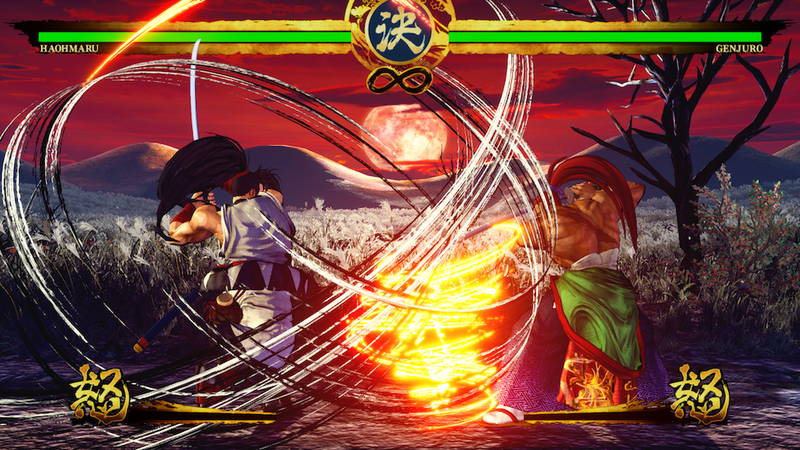 SNK and Athlon Games announced that Samurai Shodown, our first brush with the classic fighting franchise in over a decade, is finally coming this June. The fighter will launch on Xbox One and PlayStation 4 first this summer, with Nintendo Switch and PC versions debuting at a later date. The weapon-based fighter, powered by Unreal Engine 4, is a reboot of the classic 2D fighting game that features new 3D graphics that keep the look of the old game alive while ensuring modern improvement still dazzle new and old Samurai Shodown fans. The game is set in the late 18th century after the events of Samurai Shodown V, but ahead of the original game, Samurai Shodown. It's set to include 13 characters from the original, like Haomaru, Galford, and Earthquake, in addition to three new characters who have never been seen before – and more coming with post-launch DLC in the future. The game's being developed in-house at SNK by the team that worked on King of Fighters XIV, and will feature Story, Practice, Online Battle, and offline battle modes. It will also feature a special new asynchronous online mode called Dojo that will use machine learning to create a new avatar that learns from player actions offline to be used for a Ghost AI fighter. The Ghost will then be uploaded to take on other challengers, as other players will be able to do as well. Players can fight Ghosts in 1v1 battle or do the Ironman Challenge to defeat 100 in one sitting. We got our first taste of Samurai Shodown with a teaser trailer from SNK back ahead of TGS 2018, when the game was known as Samurai Spirits. Now it'll be available to play during PAX East from March 28 through March 31. There's also a special panel taking place on Saturday, March 30 called Samurai Shodown: Resurrecting a Legend, featuring staff from the original and modern game. If you're a fan, it's a great time to be one – we can't wait to see the game drop this summer.